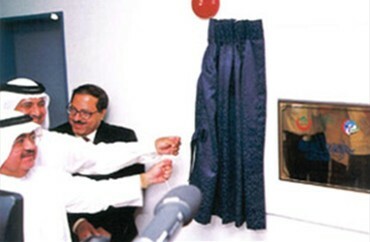 The Centre for Arab Genomic Studies (CAGS) was officially inaugurated at Al Wasl Hospital in Dubai yesterday. It serves both national and expatriate patients from the UAE and the region. At present, the research budget is about Dh1 million but it will increase in the future. Hamad Abdul Rahman Al Madfa, Minister of Health, who inaugurated the centre said conducting genetic studies on the Arab populations will represent the principal way to address a number of serious diseases. The centre is established under the directives of Sheikh Hamdan bin Rashid Al Maktoum, Deputy Ruler of Dubai, Minister of Finance and Industry and the patron of the Sheikh Hamdan Award for Medical Sciences, to bring together expertise in human genetics from the Arab world. Recent studies showed that many human diseases have a genetic basis. "In the Arab world, genetic diseases represent a major public health problem due to the high rate of consanguinity and lack of public awareness," he said. The CAGS will be the forum where collaborative research will be fostered and supported. It will also identify and elucidate the genetic basis of diseases. The centre aimed at raising public awareness on the importance of genetic diseases, identify disease-causing genes and develop database of genetic diseases prevalent in the Arab world. "It is incumbent upon us to cope with the latest scientific developments and have our own contributions. Moreover, Arab scientists must join hands and benefit from each other's experience as well as from the advances made anywhere in this vital field," said Al Madfa. The centre will also bring together diverse expertise and resources in the field of genetics and related areas and promote understanding between experts and facilitate multi-disciplinary research through supporting highly qualified investigators. It will contribute to preventing genetic diseases by providing comprehensive services by translating research achievements into well-integrated patient treatment programmes. It will cooperate with other research and medical institutions to ensure global access to new findings and technical developments.